Global GSE is part of the international Skybus group of companies, with over 20 years of experience in the aviation Industry. The Skybus Group provides aircraft engineering support, aircraft spares, and interiors, as well as flight simulator training, aircraft sales and leasing to airlines worldwide. European Skybus was founded in 1989 and has grown into a multi-national group of specialist companies providing services to the aviation industry. 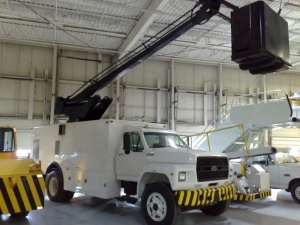 Global GSE is our ground support division. 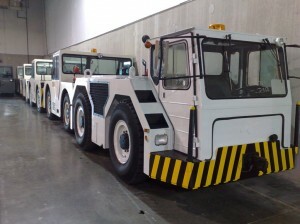 We supply used and refurbished ground support equipment to Airlines, ground handling, and cargo companies worldwide. 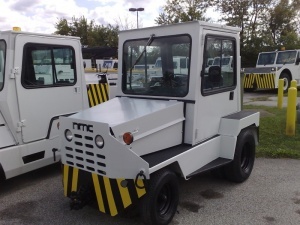 We currently have over 1200 units of ground support equipment in stock at our dedicated facility 1 mile from Indianapolis airport. 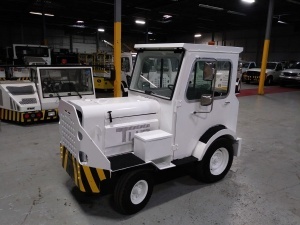 This includes large quantities of aircraft pushback tractors, baggage tugs, Wollard belt loaders, cargo loaders, aircraft refueling trucks, aircraft deicing trucks, GPU and air start units. Our extensive facilities at Ledbury in the United Kingdom and Indianapolis in the United States have over 1.2 million individual line items in stock. As one of the largest stockists of aircraft spares in Europe, we hold a comprehensive range of inventory for Boeing 737, 747, 757, 767 and 777 as well as Airbus aircraft. We also hold a significant range of spares for aircraft such as the BAC 1-11, Airbus 300 and many other commercial aircraft. Our maintenance and repair organization based at Bournemouth International Airport in the United Kingdom is a CAA Part-145 approved maintenance and repair organization for Boeing 737 aircraft. In addition, we can also offer full aircraft exterior refinishing and painting as well as interior modifications. Our Interiors Division specializes in providing Aircraft seating as well as redesigned Aircraft seats with over 10,000 seats in stock covering most aircraft types. The C2C business Class seat is our best selling 16G certified seat for Boeing and Airbus Aircraft and is currently in service with over 25 airlines. In addition to providing seats, we also provide project management services from the very start of the project to the final installation of your new interior. European Skybus specializing in converting Boeing 737 aircraft into bespoke VIP luxury aircraft which are in service worldwide.From heavy maintenance, interior and exterior design and installation through aircraft delivery, we have gained a reputation for providing a unique product second to none.